“I am lucky. 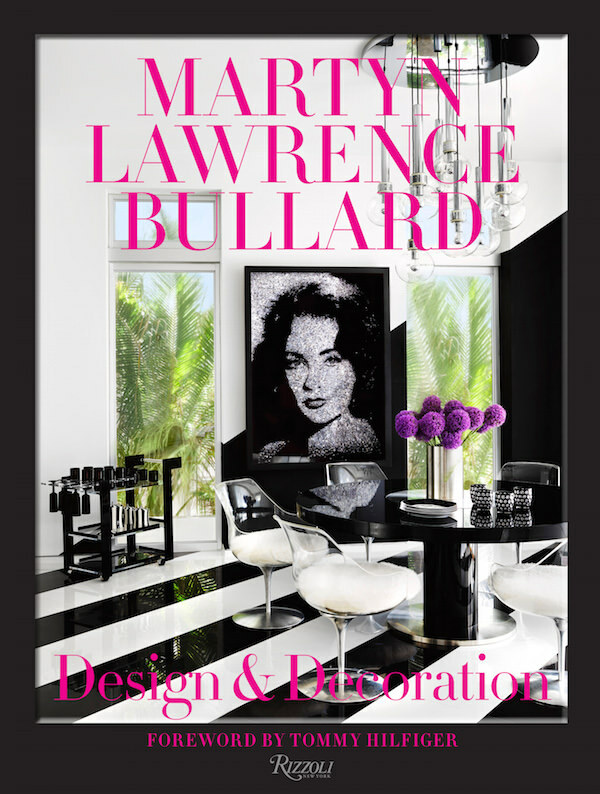 I wake up each morning knowing that whatever that day brings, I will have been creative, designed something new, and somehow made something beautiful.” So states designer Martyn Lawrence Bullard in the introduction of his new book Martyn Lawrence Bullard: Design & Decoration. In this, his second book, he shows how his signature sense of luxury and glamour translates to a wide variety of projects, from the lush interiors of not only private residences but also hotels and restaurants around the globe. For a house in Malibu, the clients wanted to emphasize their beautiful gardens and indoor/outdoor lifestyle. In remodeling the house, huge windows were installed to bring the gardens in. The front stairwell features an enormous custom lantern made to balance the scale of the windows. One of my favorite projects is Martyn’s large scale renovation of the spectacular Château Gütsch in Lucerne, Switzerland. While preserving historical decorative details, he infused the hotel with bright colors and pattern that somehow work brilliantly with the traditional architecture. 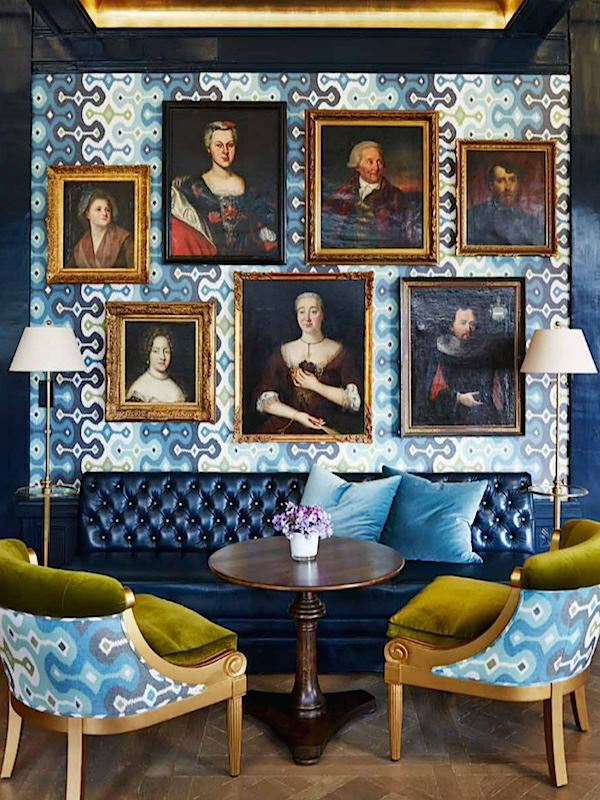 In the Ancestor bar, below, the designer used his Darya Ikat wallpaper for Schumacher to great effect, upon which he democratically grouped antique paintings of Swiss royalty and local gentry. In another house in Malibu, Martyn created a “Balinese-style oasis.” The exotic vision for the house was accomplished with an eclectic group of furnishings sourced from around the globe. 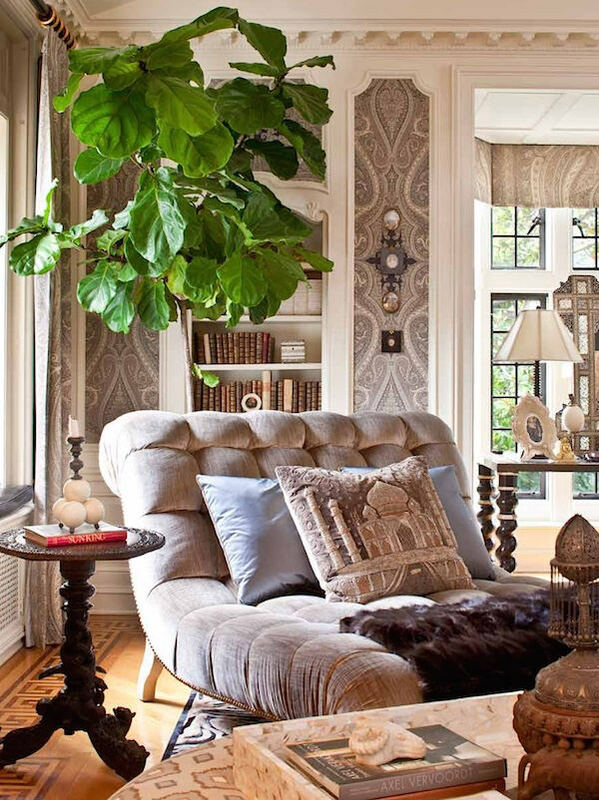 The master bedroom is an airy sumptuous retreat with his giant Pasha Paisley giving the walls a sense of scale. 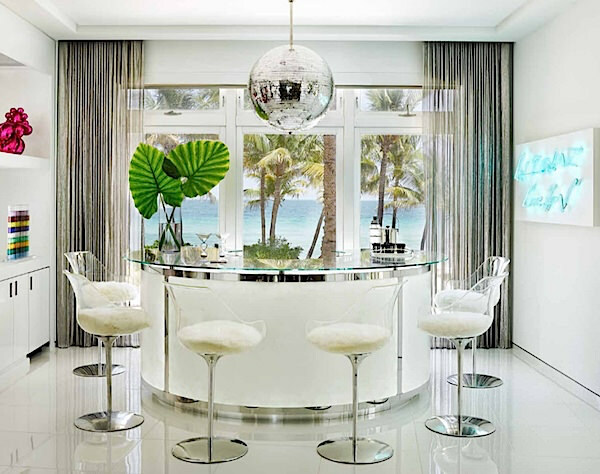 Tommy Hilfiger, who penned the book’s foreword, hired Martyn to create a dazzling modern Miami retreat that is as the designer describes it, “a sort of beach house meets Studio 54.” The book’s cover shows the black and white theme centered around the Hilfiger’s impressive art collection – in this case the Vik Muniz diamond-dust Elizabeth Taylor portrait. And below, the bar room, includes a disco ball from a 1970’s club on Capri. The bar itself illuminates at night, shedding light on the contemporary art from Tracy Emin, Andy Warhol and Jeff Koons. And proving Martyn’s ability to work in a wide range of styles, the book includes his work at the Castello di Santa Eurasia in Umbria, Italy. The twelfth-century castle that was in ruins, was brought back to life by the designer, with Roman architect Domenico Minchilli. 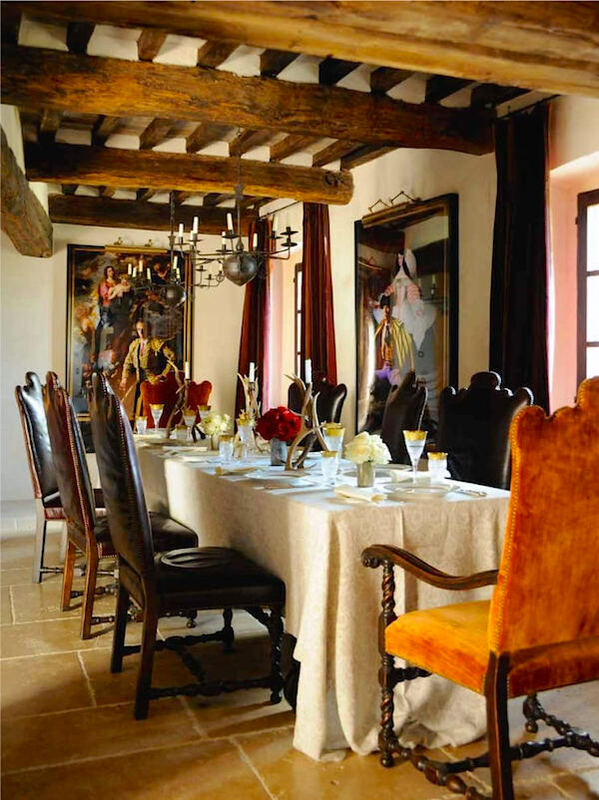 Together they researched the origins of the castle, sourcing architectural features and furnishings all over Italy to give the castle a feeling of permanence, grandeur and continuity. This entry posted in books, interior design. Entry Tags: Books, interior design, Martyn Lawrence Bullard Bookmark the permalink. Hello, Stacey, It’s so hard to find quality original content on the internet that I had to write you a comment. Your blog has become a major resource here at home, from choosing wine to movies and fashion. Great job! 81 queries in 0.502 seconds.